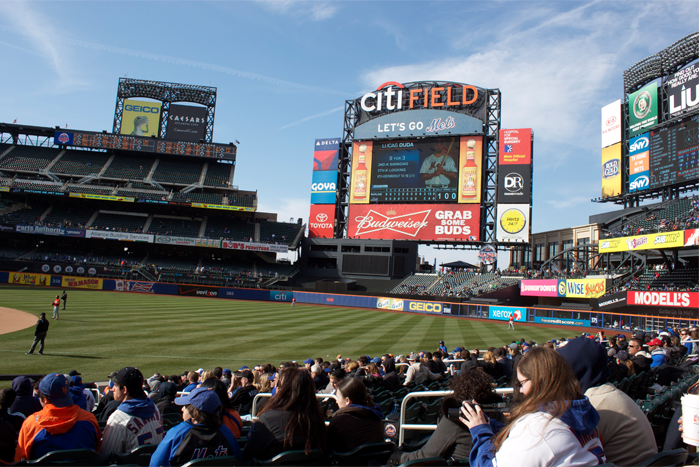 d a n i e l l e b u r k l e o : NEW YORK METS! 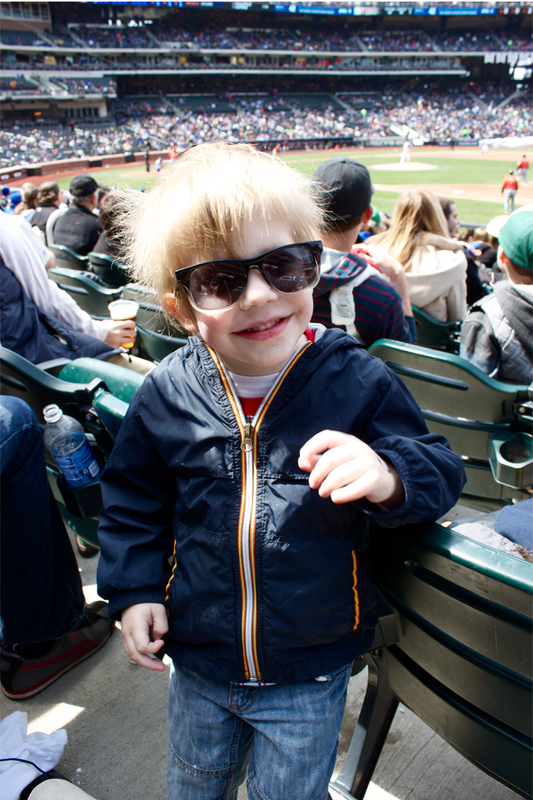 Yesterday we took the boys to their very first baseball game, to see the N E W Y O R K M E T S. I had my doubts about bringing them, especially a certain middle child of mine who's name begins with an F, but they proved us all wrong. They loved it, so much. I got a little sentimental in the 7th inning stretch, singing along to Take Me Out to the Ball Game, and holding them up high, with their snow cone blue lips. 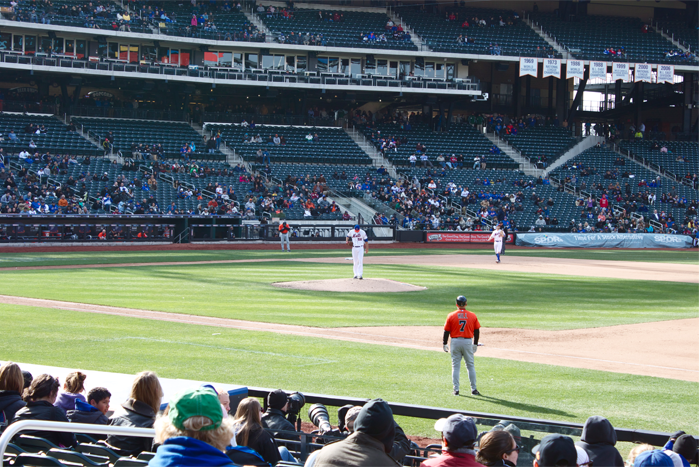 They chanted along to with everyone saying, Let's go Mets!, and I'm pretty sure I heard them still chanting it in their bunk beds while falling asleep tonight. It was a magical time for them, and I am so thankful they got to experience this. A day full of firsts for them: cotton candy, snow cones, fried dough. Oh yea, we did it all. Brody had his first ball park dog, Foster stuck to his regular, chicken with fries. They both keep imitating the guys selling beer, hot pretzels, and dogs. Brody has got that New York accent down to a T, HOT PRETZELS HEAH! They laughed hysterically at the man behind us yelling at the refs, and jumped up and down with every hit. 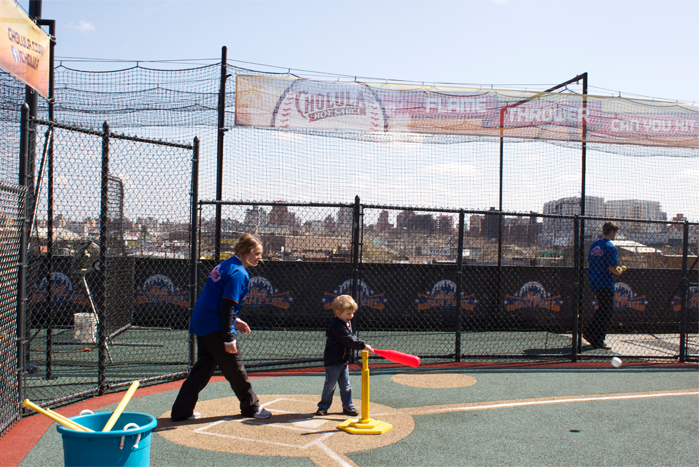 We started off the day in the Fan Fest area where the boys got to play their very own game. 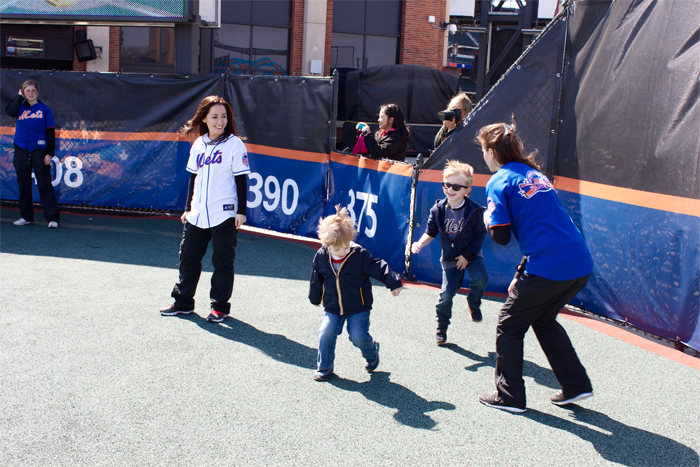 We got pictures with Mr. Met, Foster dunked a man into blocks of foam, we got some brand new Mets t-shirts, and a tour of the ball park. I was so impressed by the staff who swooped in to play alongside our kids and show them the ropes. It was so nice to stand back, and watch them play, and have fun while someone else was in charge. THAT NEVER HAPPENS. So, you know we soaked up every minute of that. 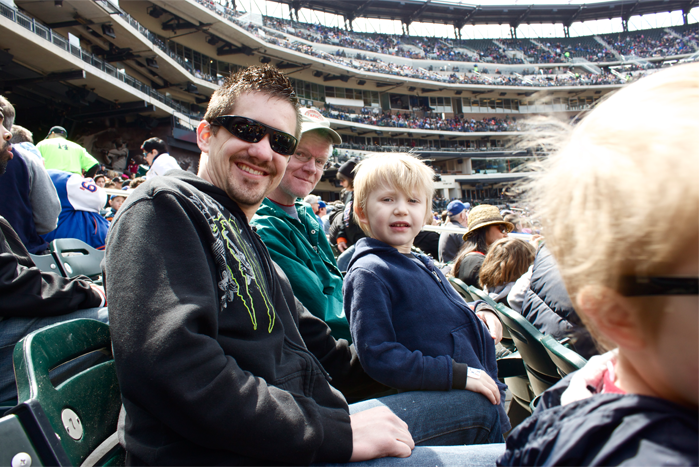 The four men in my life, at the boy's first baseball game, together. Pretty special stuff right here. My dad, my man, my boys. It was a chilly, and windy, game. I kept waiting for one of them to say something about it, but they didn't say peep. I kept thinking back to when I was around eight years old, swimming in a 60 degree ocean, not thinking anything of it. My grandparents and parents were all Danielle, come out now! It's freezing! But, I was having too much fun to care about the cold. That's what happened yesterday for my boys. I think we were the only people in whole stadium who bought snow cones. But, a promise is a promise, and you know that they gulped down every last drop of that blue syrup. The game itself was the best first game Brody and Foster could have experienced. We thought, for a long while, that the Marlins were going to take the win, but we held out hope. Just when we were packing up our things and getting ready to head out, the Mets win in the bottom of the 9th with a base hit. We cheered, and danced, and I even wanted to hug random strangers, but I contained myself. 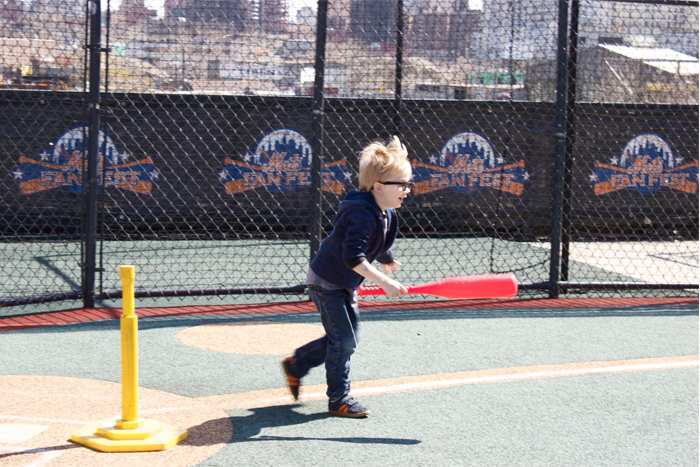 Thank you, Mets, for the awesome day and game! 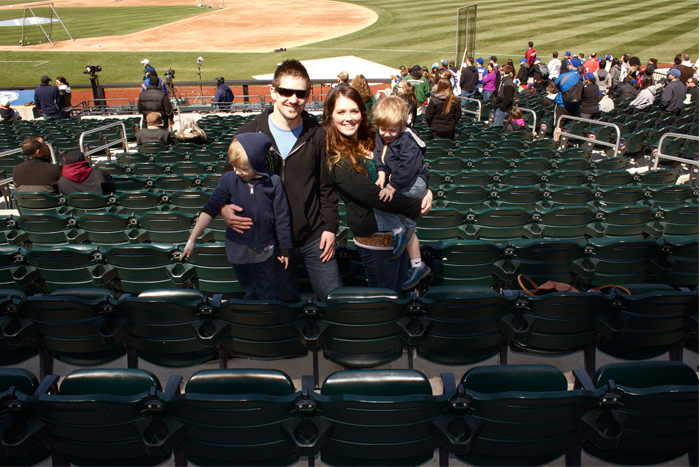 I am excited to tell you all that I am a part of The New York Mets Blogging Community and will be sharing more about my experience as a mom who loves her some baseball throughout the year. …. And speaking of loving baseball. 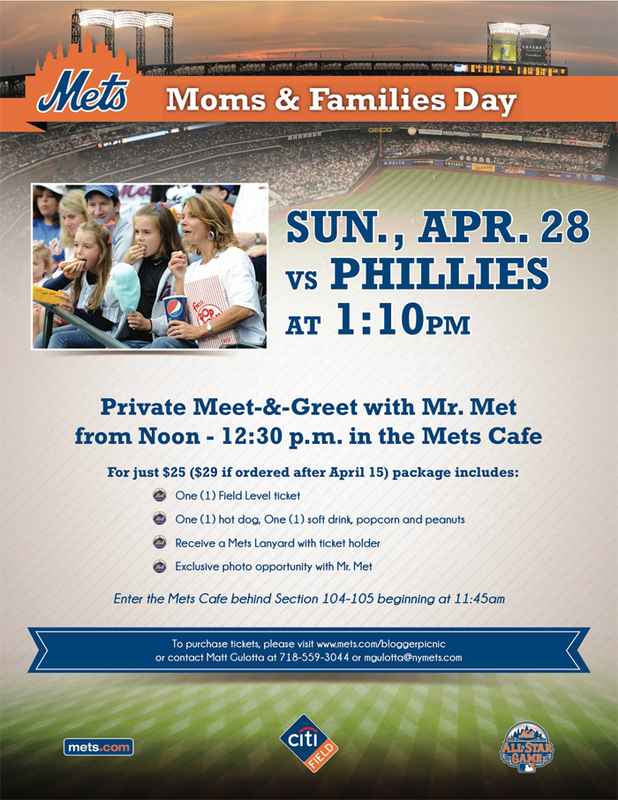 To all my New York and Northeast friends: Want to join me at the April 28th game? I thought so. I have got quite the deal for you! Click H E R E to purchase your $25 tickets! Moms: bring your kids, bring your husbands! Heck, for this price, bring your cousins and best friends, too! 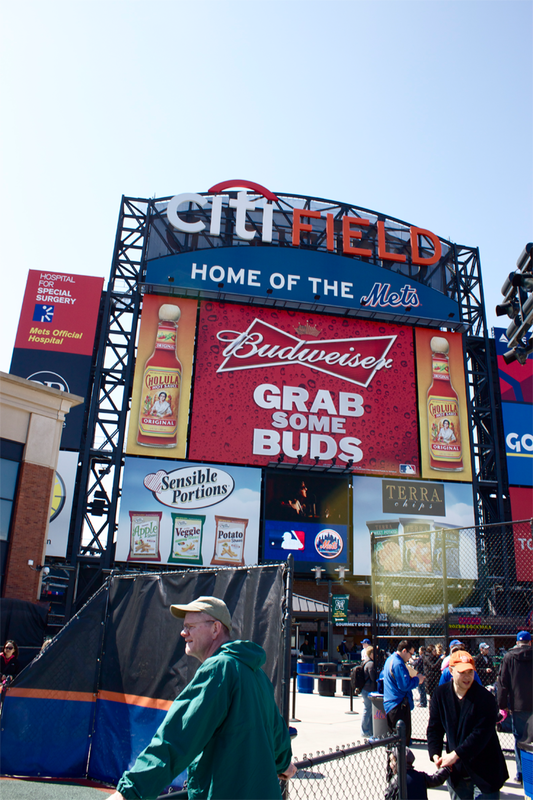 I'll hug you, instead of random strangers, when the Mets win again! Your boys looked so happy! Such a fun family experience! It was the sweetest day! Oh how I wish we had a major league ball team near us. We LOVE some baseball. My son's name is Easton if that tells you anything! This looks like so much fun. I forsee many summer trips to Cincinnatti or Atlanta for us. That's as close as it gets. New York though---sister, you've got it MADE! That is so awesome! Not to mention David Wright...>YUMMY!!!!!!! that makes 2 of us!!! I would absolutely LOVE that! Maybe one day!!!! Oh I want to go to a game! Love that short of your little boy with the big glasses!! How do you score such awesome seats?!? I haven't sat that close since the 90's.